Inspired by Mirror’s Edge Catalyst, this SPEC-ALPHA case features custom paint work inside and out. 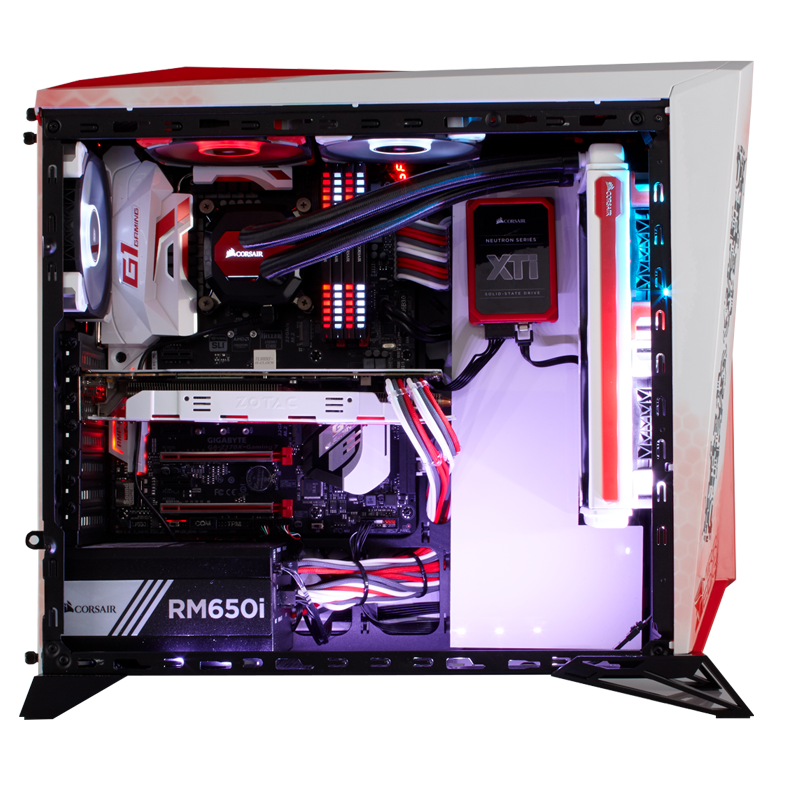 We custom painted the radiator, pump caps, and graphics card housing to match the bold Mirror’s Edge red, white, and black motif. Custom lighting from Vengeance LED and ML120 PRO LED fans go a long way to accenting the build.